Parkland, Florida, was the gruesome scene of another tragic disaster with guns in one of our nation’s high schools. The outcome was the same except for one difference. Though we’ve become numb to the news and comforted by thoughts and prayers, this time students who survived demonstrated that they lived to be heard, not silenced. David Hogg, a student at Parkland High School, looked into a news camera and made it patently clear, “”We are children. You guys are the adults. Work together, come over your politics, and get something done.” He couldn’t have said it better and he couldn’t have been more correct. Grassroots is an old term that describes the people’s agenda that becomes a collective voice that reaches government officials where real change can happen. In the past, grassroots were mostly adults with children in tow. Today, grassroots are made up of conscientious and passionate teenagers with adults in tow. Teenagers have something serious to say and they need adults, who are of voting age, to make a difference for them. It’s not a selfish ask; it doesn’t come from some self-centered teenage angst; it emerges from a place where the difference between life and death met them at the entrance to their high school in a place where teenage thoughts of immortality and invincibility should have consumed them until they outgrew them. 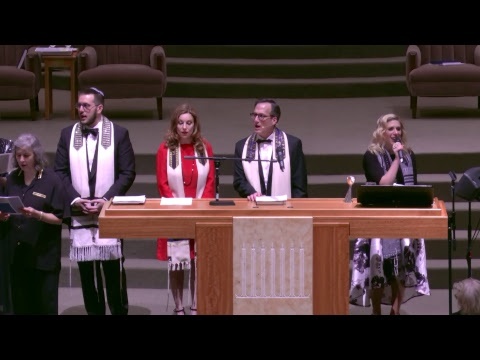 In a Jewish prayer for a newborn, the translation includes this hope, “May her parents be privileged to rear her with wisdom and learning, Torah, chuppah, and good deeds.” The prayer doesn’t include the words safety, protection, or Kevlar. Children are our future, and we are the surety they need to reach it. The chuppah, the wedding canopy, represents more than their home; it symbolizes the future they will make after they leave their respective parents’ homes. In effect, their parents’ jobs are done when their children enter the chuppah, and not a minute sooner. That’s why the duty of parents to protect their children is a given; that’s why ensuring their safety is implicit in our prayer for them. Who wouldn’t protect their own children; who wouldn’t ensure their safety? The children, now teenagers, have discovered answers to these questions. It’s not a quiz or test they prepared for and it’s not something they’ll forget as soon as it’s done. They discovered that these are questions about their very lives. Who wouldn’t protect their own children and who wouldn’t ensure their safety? David Hogg spoke for thousands of students when he pointed at adults for failing to get the answer right. This time, the adults are going to be held accountable by their children, and that’s okay with me. It’s time to “[Get] over our politics and get something done!” On March 24, 2018, there will be a rally at Houston City Hall to support teenagers who want real change on gun laws. They’re advocating for sensible changes that will highlight human life as our highest priority and make adults and parents into honest brokers of their children’s futures, again. Congregation Beth Israel clergy will join them to demonstrate that we stand with children and teenagers who want to imagine their future, which begins in school, without unreasonable fears. The prophet Isaiah (11.6) said, “A child shall lead them.” Let’s follow. Where they’re going is where we need to be. It’s in a future with them, not without them.